Q) What happens when an award winning national independently owned cleaning company needs a washrooms services partner? A) They come to Liberty Hygiene of course! That’s exactly what happened when Wettons were looking for a partner in the London and Essex area. Wettons, for those who don’t know, was established in 1949 and operates nationally. In fact they are rated as one of the top 10 independently owned commercial cleaning companies in the UK. With over 3,000 employees they are committed to the same high values as Liberty Hygiene with the emphasis on service, service quality and long term partnerships delivered through modern methods, products and technology. We were delighted to be working across the Southeast Essex Colleges with them but when Wettons announced that they were also giving us responsibility for Tower Hamlets Council sites which adds up to over 100 sites within a 2 mile radius and included town halls nurseries, council offices etc, we were delighted beyond words. And for those of you who know our MD, Scott Marshall, that was some achievement to be beyond words! But all joking aside, it is a huge honour to have been successfully chosen to work alongside one of the UK’s most respected cleaning companies. It has taken many long hours and hard work by the whole team including Directors Scott Marshall and Glenn Marshall. For readers who are not from the London area, Tower Hamlets is a fascinating place steeped in history. It has a heritage as rich as anywhere in the UK and encompasses some of the nation’s most iconic places including The Tower of London, and most of the traditional East End — places like Bow, Whitechapel and Bethnal Green. 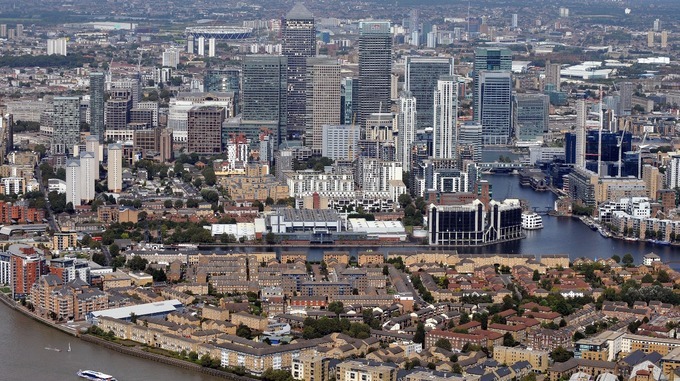 But in marked contrast, the borough also contains the booming business district of Canary Wharf. How the Hamlets (small settlements) became Tower Hamlets is explained in this rather interesting article. local census returns from 1841 to 1891 and parish registers on microfilm. All the more reason to ensure our work is always to the highest standards in the Council buildings – no accidents from us. If you have a spare hour or two, it really worth Googling Tower Hamlets and its history. You’ll then understand our excitement at working in the very heart of London history.